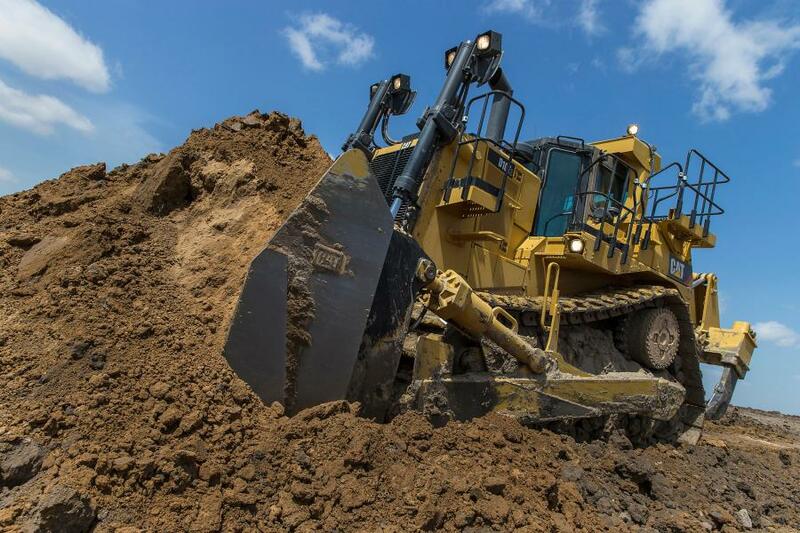 A Cat D10T2 pushing dirt. The legacy of the Cat large dozer began a little more than 40 years ago with a revolutionary elevated sprocket and new undercarriage design that looked unlike any dozer of its day. The groundbreaking suspended undercarriage with high drive design conformed to the ground better than standard oval tracks, helping to improve machine traction, extend undercarriage life and enhance operator comfort. In October, representatives from Caterpillar Inc., Finning Canada and Teck Resources Limited (Teck) gathered in East Peoria, Ill., to celebrate the milestone of the 40,000th Cat large dozer rolling off the production line. Core to Caterpillar's global identity, the current Cat large dozer line includes the D9, D10 and D11 models. Commenting on the importance to Caterpillar of the 40,000th large dozer milestone, Greg Hepler, product manager of large dozers, said, "Caterpillar transformed the track-type tractor with the introduction of the suspended undercarriage with elevated drive sprocket. This innovation, along with a long history of others, enabled Cat large dozers to set the standards for efficiency, productivity and durability. These iconic machines continue to define who we are and play a key role in building a better world." Denise Johnson, Caterpillar group president responsible for Resource Industries, handed the keys of the 40,000th large dozer to Louis DeLuca, Teck director of supply management, during the ceremony held Oct. 25. The celebration included employees in Caterpillar's Building SS, where all 40,000 Cat D9, D10 and D11 dozer models have been manufactured. For more than 10 years, Teck has been one of the top customers in the world for Cat large dozers. 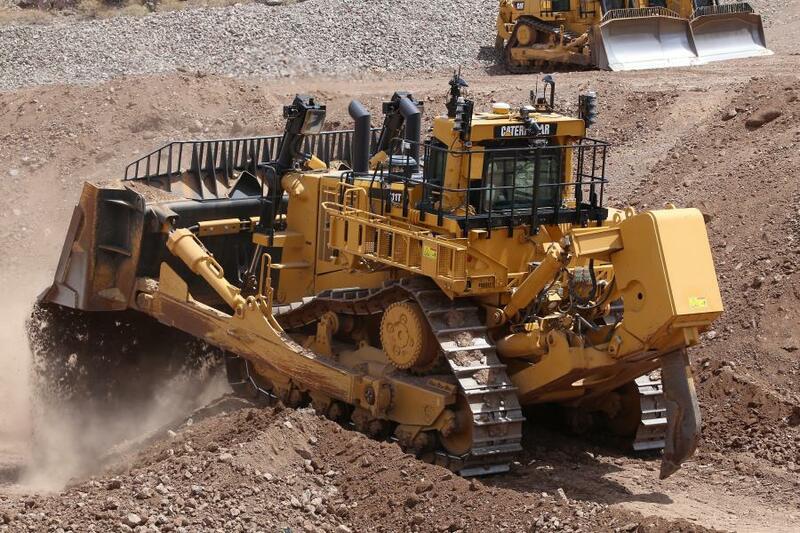 The 40,000th large dozer, a 225,000-lb. (102 058 kg) D11T, will operate in the Elk Valley Region near Sparwood, British Columbia, where the company produces steelmaking coal at five mining operations. "This milestone is important, not just because of the sheer number of Cat machines sold, but also because it represents the many long-lasting and mutually beneficial business relationships established with customers like Teck," Hepler said. "We are honored to celebrate this achievement with Teck, and we are grateful that their Elk Valley mines have counted on Caterpillar, Cat equipment and their dealer, Finning Canada, to help them reach their production goals since 1992." The milestone D11T is equipped with a powerful Cat C32 engine, producing 850 hp and capable of moving up to 900 loose cubic meters of material per hour. Even in Teck Coal's demanding, high-production application, the powerful and efficient powertrain ensures the material is moved at a lower cost per ton. Its rugged mainframe is designed for multiple rebuilds and lowest total cost of ownership. A host of standard and optional Cat technologies, including VIMS 3G, automated blade assist, enhanced auto shift and advisor monitoring system, increases operating efficiencies, advances safe operation and lowers costs. "We are very proud to celebrate this milestone with Caterpillar and our long-time customer Teck, as the D11T is a true workhorse in the fleet of products we service and sell, heavily relied on and highly valued by our mining customers," said Allan Potzold, branch manager, Finning Canada, for the Elk Valley region. 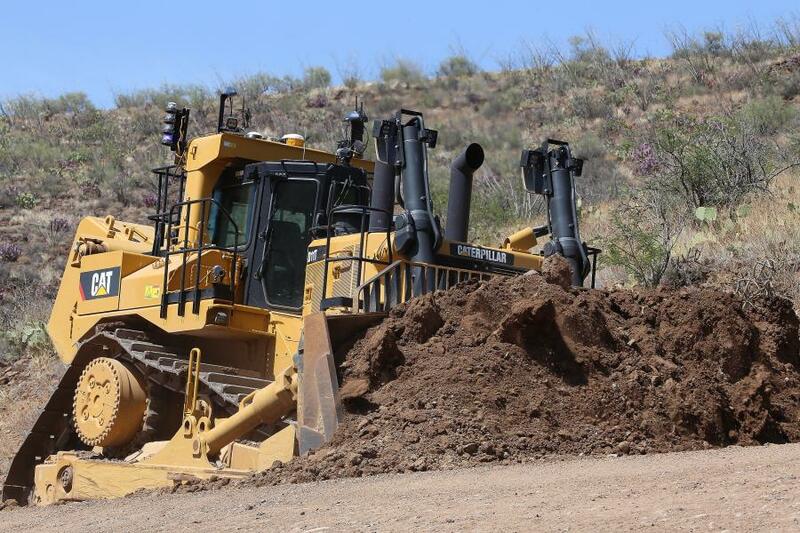 "We look forward to providing leading-edge service and innovative solutions to our customers to keep their equipment on-line and operating at peak performance and are honored that the 40,000th dozer will be put to work here in the Elk Valley." For more information about Cat dozers, visit www.cat.com.